We are seeing more and more people around the internet reporting this problem (Do you want to add this search provider), and many of them are pointing to the KB3038314 update causing this issue, without that update they can successfully add a search provider. It’s a weird error, we haven’t seen it before. There are two things you could try to fix “Do you want to add this search provider” not working. Resetting Internet Explorer is quite an easy thing, for very few people this worked, but some people reported it working. You can read the instructions here on how to reset Internet Explorer. If that does not work then, I suggest for the time beign, till Microsoft fixes this issue to just uninstall the KB update, and see if that solves the problems. 4. This can take a while, depending on how many Windows Updates you have installed on your system, wait for the list to load and then find your update. 5. 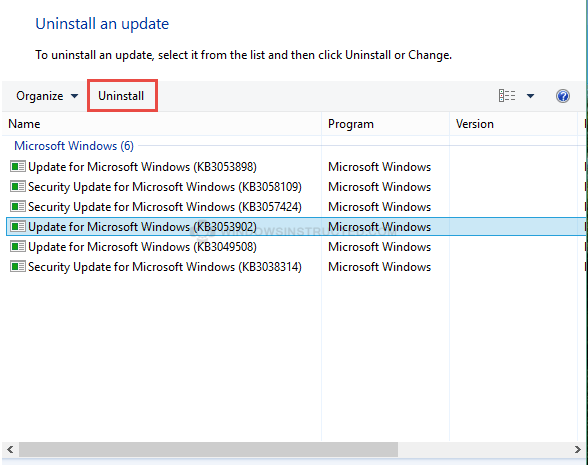 Find KB3038314, click it and then click on Uninstall Update. When you have uninstalled the update reboot your device and see if you can now set an other search engine. We hope this tutorial helped you to fix this annoying issue and that Do you want to add this search provider is working again.